It’s great acquainting yourself with composers who are unfamiliar to you and I was getting to know Pietro Castrucci when I read that he had invented something called the violetta marina. There was no explanation of what that was, but since “violetta” refers to a small violin, it appeared to be some type of string instrument. Of course, the first thing I did was search the term on Google and there was little about it. But I did come across a discussion on the topic among violin makers, and one mentioned that he believed Handel used one in Orlando , his 1733 opera. 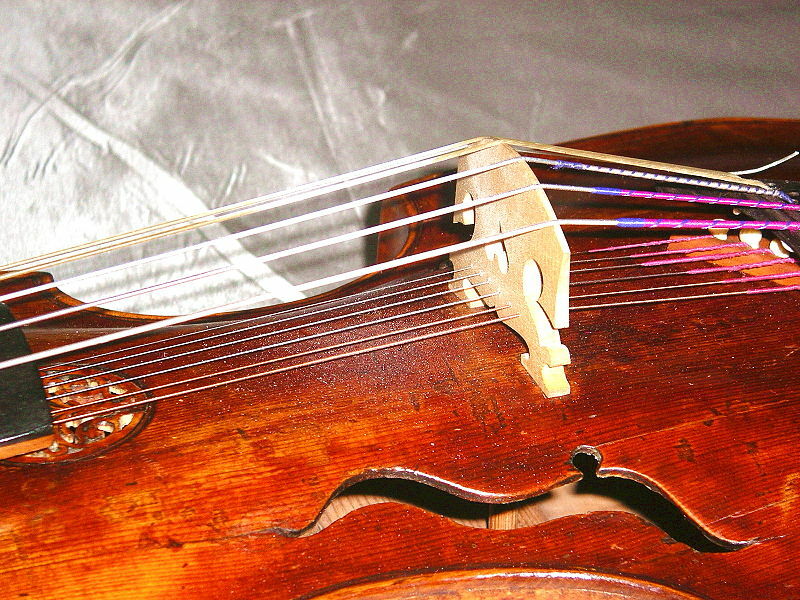 And yet the mystery persists, because even violin makers can’t say with any certainty how the violetta marina differs from the viola d’amore. “I don’t think that any such instrument has been found,” says Myron Rosenblum, one of the participants in the violin makers’ discussion. 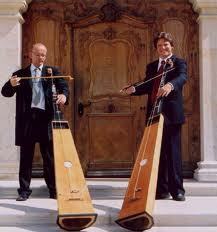 The Viola da Gamba Society of America thinks it’s a small, three-stringed viola with a sympathetic string. Castrucci is a fairly obscure composer. I can find only one full album of his music on Amazon, his 6 Concerti Grossi, Op. 3. He’s featured on some compilations with other Italian composers, but little of his work appears to be around today. Even the International Music Score Library Project (IMSLP), which is so thorough in cataloguing sheet music, has no Castrucci compositions in its databases. On YouTube there are performances of some sonatas featuring recorder solos (see the image below for Sonata No. 3), but other than those, plus the Concerti Grosso, there isn’t much. We do know Castrucci studied with Corelli for a while and later was the leader of the opera orchestra of George Frideric Handel, so he would be familiar with Handel’s use of the viola d’amore in Orlando. Ideally, we would go to that opera to hear what the violetta marina sounds like, since the piece calls for it, but contemporary recordings use the viola d’amore. For a while I wondered if the instrument is in some way related, or developed in tribute, to French composer Marin Marais, who was noted for his basse de viol work. Indeed, he is probably the leading historical composer of that instrument. Given that Castrucci named his instument violetta marina, it makes you wonder if he wasn’t trying to produce an instrument with a sound that resonated with Marais’s work. But then I came across a reference to the tromba marina in a book called Instruments in the History of Western Music by Karl Geiringer. The tromba marina is an unusual single-string instrument that makes the sound of a trumpet. One theory that has stuck to the instrument is that it was played by nuns to mimic the sound of the trumpet because they were prohibited from having brass instruments in their convent. Whether there’s any connection between these two marinas, the tromba and the violetta, is unclear. Given that, and as long as even violin makers don’t know what the violetta marina is, the idea that it’s an instrument that tries to channel Marin Marais is probably as good a theory as any.